Floating Adjustments. An utility that many were waiting for! 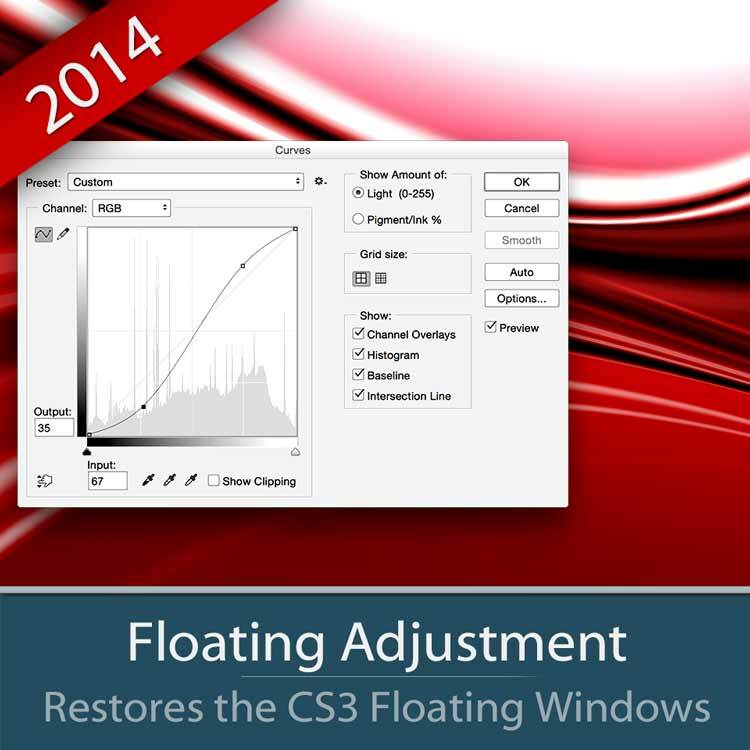 Restores the Adjustments Layers’ bigger, floating windows look and behavior, which was the norm back in CS3. It allows the creation of big, floating adjustment layers windows, and the modifications of existing. No more frustrating experience with the new small Floating Window.